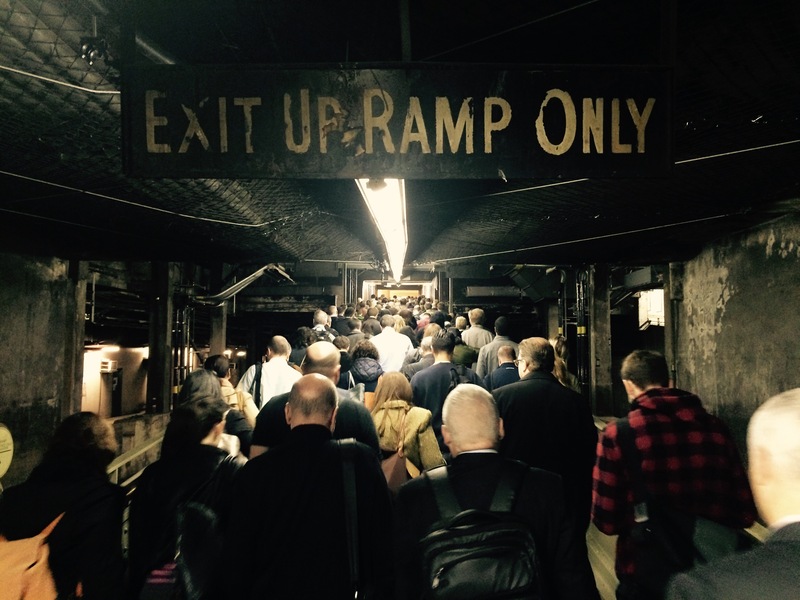 These commuters walking into Grand Central from track 39 are living their 2015 lives, but that sign is older than all of them. I admit to sometimes cursing when stuck in a crowd such as this, but, after taking the picture, I walked up the exit ramp with a grin, excited to be in that day’s bustle. I was one of millions who’d crossed under that exit ramp threshold over many years. Thoughts like that take the pressure off somehow, reminding me that I’m a small part of a much larger whole.